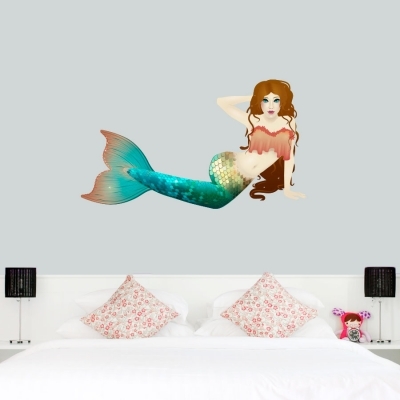 For the fan of all things Mermaids and fairy tales, this beautifully colored Mermaid wall decal will go perfectly in your magical underwater or ocean themed room. Shop this mermaid wall applique today! Please note: Colors and sizing may vary slightly from the image above.